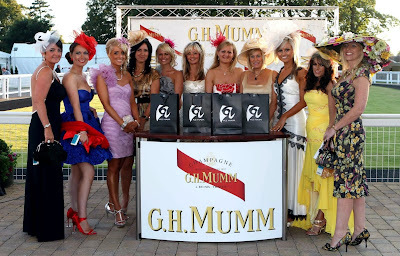 It's one of the most glamorous nights of the year - Champagne GH Mumm Ladies Night at Ayr Racecourse on Saturday 6 August. 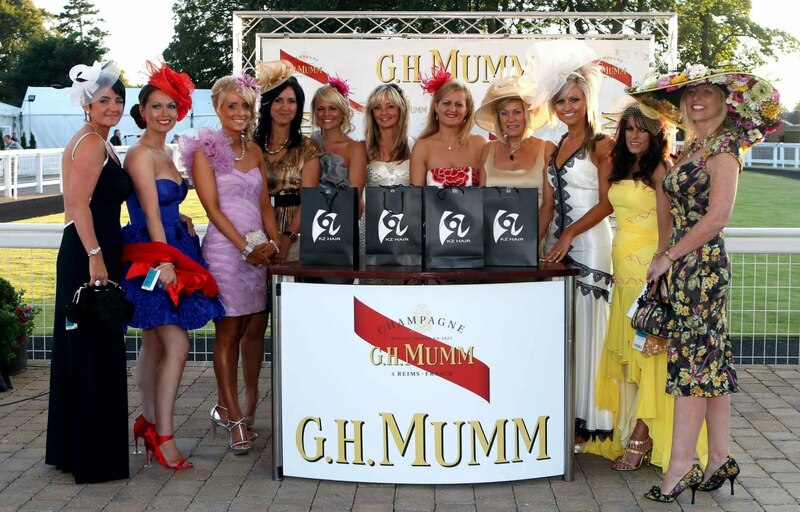 One of the top social occasions of the year, ladies glam up in glittering dresses, colourful hats and shoes and head to the track for seven races and an unbelievable night of entertainment. 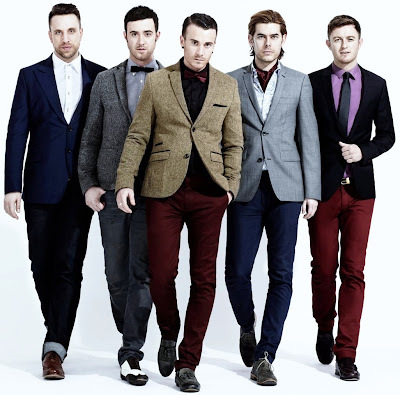 After racing the fabulous Overtones (pictured above) perform a full set of their hits including ‘Gamblin’ Man’ from their platinum selling album ‘Good Ol’ Fashioned Love’. 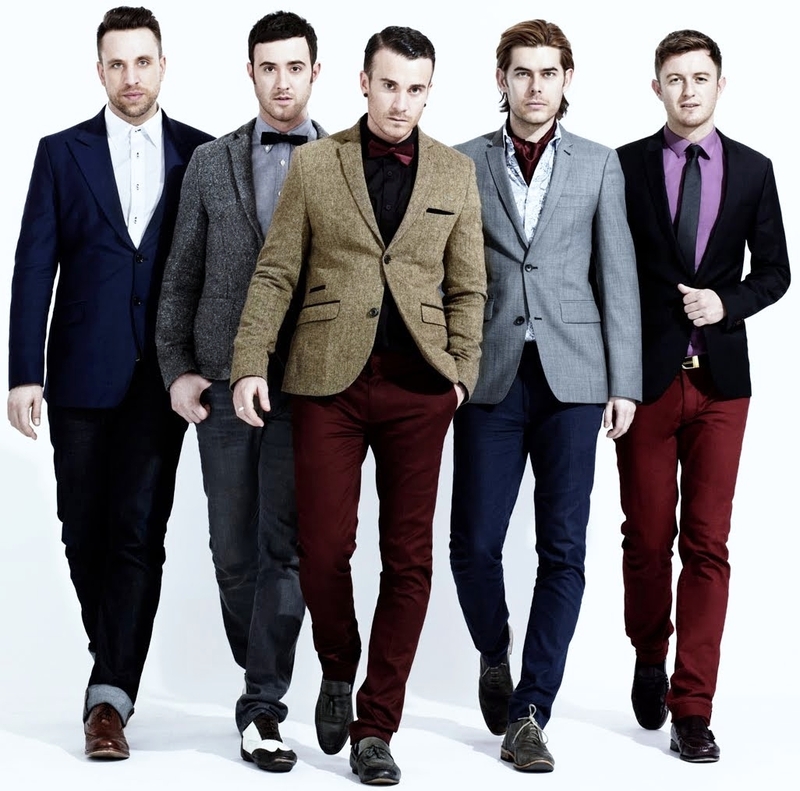 The Overtones have been one of the big success on the music scene in 2011 and their Ayr gig comes ahead of a full British tour later in the year. Best dressed ladies on the night can win big by being awarded a bronze coin and a passport to Ladies Day Final on Friday 16 September. 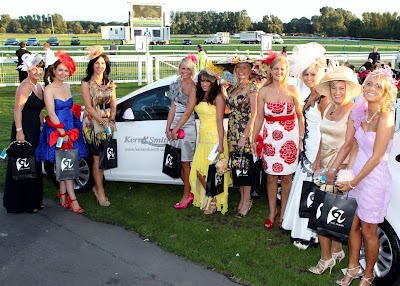 Prizes that day are simply superb - the star prize is a Vauxhall Corsa Limited Edition courtsey of Kerr & Smith (pictured above modelled by Girvan girl Amy Gould), runners up prize is a fabulous holiday to Dubai from Stewart Travel, and third prize is a piece of jewellery from designer Alex Cairncross. First race on the night is due off at 5.40pm with the last race at 8.40pm - and then the Overtones take to the stage shortly afterwards. In addition to the Overtones appearing on the mobile stage outside there is also an appearance in the Horseshoe Bar from Sistrum playing from after the last race until approximately 11.45pm. For media enquiries call Iain Ferguson on 01292-294972 or 07795-565691.